We are going to release the new Autumn 2018 Skinbox in the marketplace and it will be findable in-game! Cliffside PVP map will be playable during this weekend! During this weekend twitch drops are every 30 minutes instead of 1 hour! 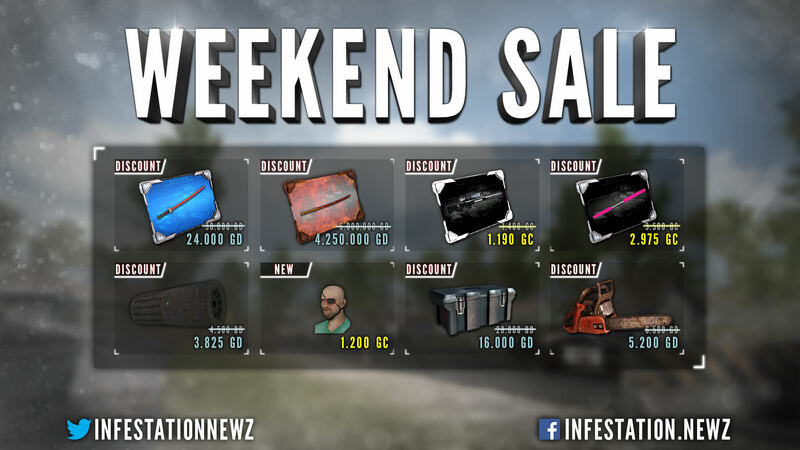 All GI Locker available inside the marketplace will have a 20% discount! NOTE: One of our newest character is going to get release called "Walter". Will skins appear on the ground or will they be prizes when super zombies are killed? Boxes will be spawning, how, is for players to find out! This box will be available in-game for a while. Not just this weekend. 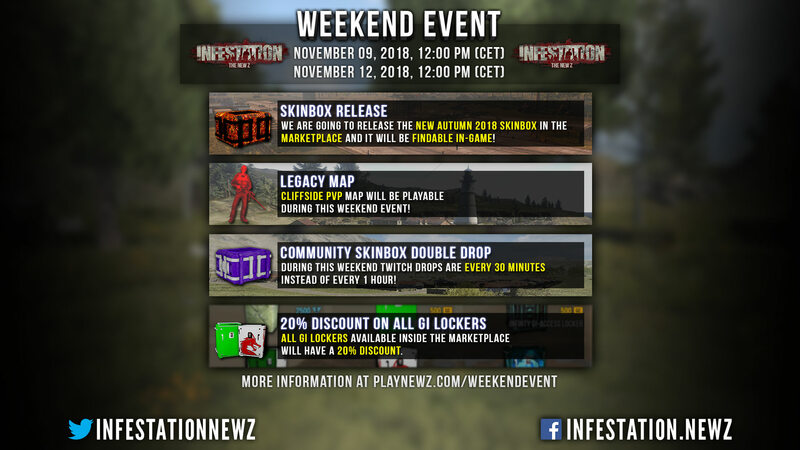 Weekend EVENT is LIVE! Enjoy! Servers are restarting now with a fix.